Peace, love, pawprints. 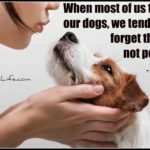 Inspirational saying on DogsBestLife.com. Dog inspiration: Life’s short. Spoil your dog. A good dog is one of the best things of all to be. 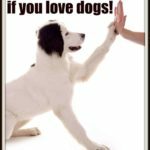 Inspirational saying on DogsBestLife.com. 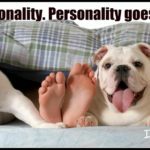 Dogs got personality. Personality goes a long way. 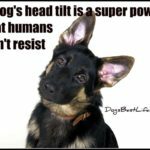 Inspirational saying on DogsBestLife.com. 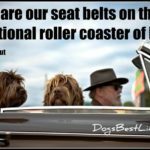 Pets are our seatbelts on the roller coaster of life. 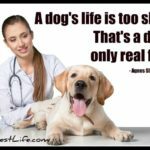 Inspirational saying on DogsBestLife.com. 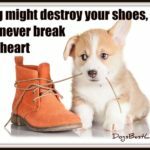 A dog might destroy your shoes, but he’ll never break your heart. 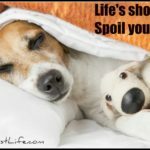 Inspirational saying on DogsBestLife.com. 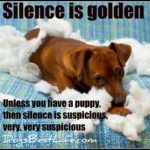 Silence is golden … unless you have a puppy, then silence is suspicious, very, very suspicious. 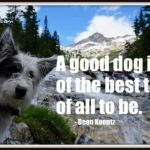 Inspirational saying on DogsBestLife.com. 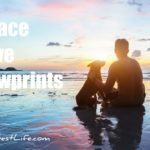 When most of us talk to our dogs we tend to forget they’re not people – Julia Glass Inspirational saying on DogsBestLife.com. A dog’s life is too short. That’s a dogs only real fault. 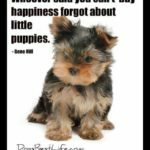 Inspirational saying on DogsBestLife.com.